Security Funder does not take the Client’s Assets as Security. This is for the Client’s Bank to decide. Client’s local Bank has to guarantee the repayment of the loan and Arranging for their London – Paris – German – Swiss correspondent bank to endorse the bills of exchange too, which will be Sufficient to guarantee the Loan. No other bank instrument is required. Initial Funding is only Fixed for 24 months, and can be renewed again for another Periods of 24 months each. Proof of Funds (recent printout bank statement showing you have the Required cash amount to pay the commitment fee after signing LOI with the funder. 6.How the financing will be arranged? 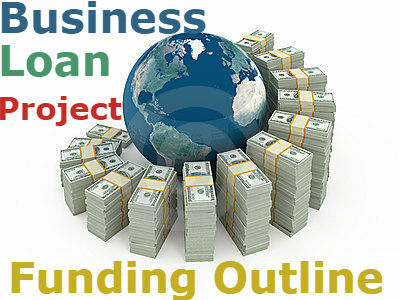 We evaluate your funding proposal prior to accepting an financing arrangement Inquiry. If your business financing inquiry /project fits the most of our qualifying terms we will set up a call with you for personal acquaintance and to discuss your project and remaining questions. If we are satisfied with the course of the call and decide to proceed we will send you a LOI for client to complete. We will provide the LOI which states all funder terms and conditions to the Client for signing. After the Client accepts funders LOI and wants to Proceed then he has to transfer the Commitment Fee into funders indicated bank account. Once Funder receive the Signed Facility Letter and the funding documents from Client’s local Bank and the London – Paris, German or Swiss Correspondent bank then it will take between 10 and 30 days to transfer the Loan Amount to the Client’s Bank.